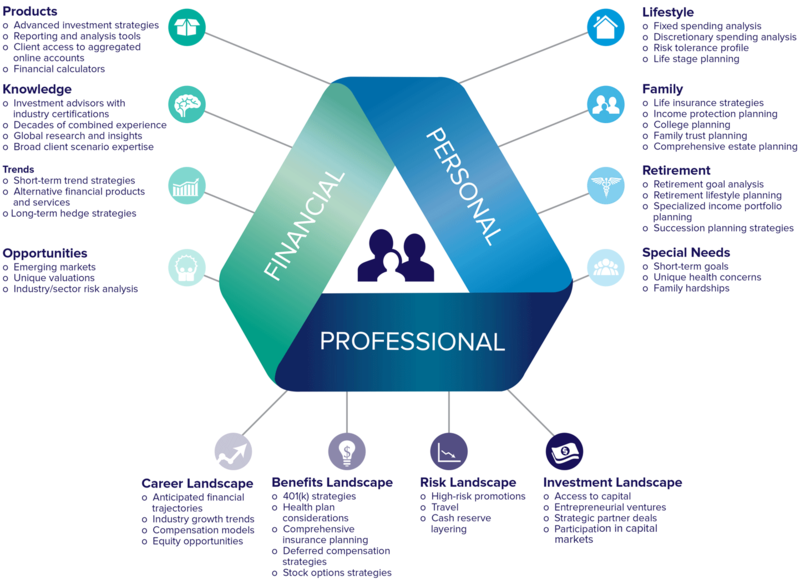 McAdam’s Advanced Advisory Model™ is an intelligent advisory model that integrates all three areas of financial planning: the financial, the personal — and the professional. Each profession has its own unique patterns of career and financial inflection points. With our advanced knowledge and deep experience with professions and their challenges and opportunities, we help you make the most informed decisions at each step and strive to provide you with a whole new level of clarity and control. Purshe Kaplan Sterling Investments and McAdam LLC are not affiliated companies.